In a last minute strategic move by counsel, Dr. Wouter Basson’s sentencing by the Health Professions Council of South Africa (HPCSA) has again been delayed. 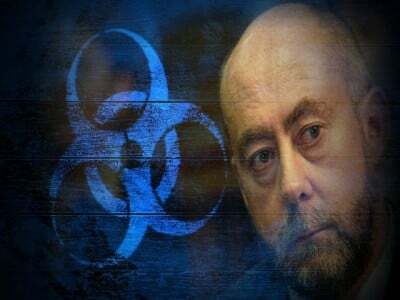 Basson, who was found guilty by the HPCSA in 2013 of acting unprofessionally as the director of the apartheid government’s biological and chemical warfare unit, Project Coast, may have had one of the longest running trials in history. The initial complaints against him were filed with the medical board in 2000, only to be delayed until the conclusion of his criminal trial in Pretoria High Court. As director of Project Coast in the eighties and early nineties, Basson allegedly provided assassination chemicals to members of the South African Defence Force, and, according to testimony heard in the criminal case, was involved in 229 murders. In addition, he was charged with embezzlement, drug trafficking and possession of illegal drugs. When he was arrested in 1997, he had more than 1000 Ecstasy tablets in his possession. The judge in the criminal matter, Willie Hartzenberg, acquitted Basson of all charges against him in 2002. There were over 150 witnesses who testified against Dr. Basson. Basson was the sole witness in his defense. Basson was known to be working on developing a blacks-only bioweapon, work which may have come to fruition. Much of his activities with Project Coast remain secret and undisclosed. He had also developed high ranking contacts with British and American intelligence and their governments’ biological and chemical weapons programs. Basson is currently a successful cardiologist in Capetown. In 2007, the HPCSA began its inquiry into Basson’s activities under the apartheid regime. Dr Basson made available cyanide capsules to SADF soldiers so that they could decide to commit suicide to avoid revealing information under torture. His sentencing has been repeatedly delayed since that time, as his legal counsel, Jaap Cilliers, has failed to come to court for Basson’s sentencing on multiple occasions, necessitating continuances. In January, Cilliers filed an emergency petition with the court in Pretoria, stating that two of the HPCSA professional conduct committee members were biased against Basson, due to their membership in organizations which had signed a petition asking for Basson to be stripped of his medical license. This petition was signed by a number of South African medical professionals and groups, including the South African Medical Association and the Rural Doctors Association of South Africa. I did not participate in the process of the compilation of the petitions. I also did not sign any of them….the reason thereof is simple-I could not allow myself to be influenced by and participate in the process relevant to the issues to be determined in the proceedings, which were occurring outside the hearing. In addition, Cilliers has alleged that committee member Professor Roland Edgar Mhlanga was also a member of the SAMA and thus should also be recused. Mhlanga stated in his affidavit that he was not a member of either organization and that he did not sign any petitions. Judge Bert Bam of the North Gauteng High Court in Pretoria has ruled that Basson may apply for the two committee members’ recusal. The HPCSA will convene again on the Basson matter on March 12. If the past is any indicator, Basson will continue to evade sentencing. According to some “Basson watchers,” should the matter end up in Pretoria court rather than in the administrative proceedings launched by the HPCSA, the doctor may prevail. Many of the sitting judges are hold-overs from the apartheid era legal system and appear to be amenable to Basson’s issues.